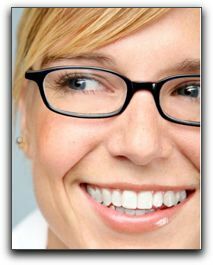 A smile redesign is transformative for any man or woman who has been embarrassed by their smile for years. But it’s not just about looking younger and more attractive—though it most certainly will do that. It can improve your life in ways that many men and women do not understand. Your face is always on display for others to see. You can’t hide it behind long sleeves, baggy jeans, or a hat. Many lucky residents who have received smile makeovers in Farmington at Sundance Dental & Orthodontics understand that dazzling new smile can brighten their whole face. Our team can even correct dental issues prior to beginning a search for new employment. A beautiful smile with a smile makeover in Farmington is essential to polish your appearance and self-confidence. Cosmetic dentistry is not just for people in the public eye, it is for anyone who desires a youthful looking smile. Bloomfield teeth whitening is quicker and more popular than ever. Some of our Farmington cosmetic dental patients invest in total teeth restoration because they have always been self-conscious about chips, gaps or crooked teeth. A smile makeover in Farmington may consist of dental bonding, dental implants, dental bridges, orthodontics, porcelain veneers, or a combination of these treatments. If you are unfamiliar with the latest materials and procedures, see smile makeover expert Michael Tornow for a cosmetic dental consultation. Some transformations are completed in just one visit! And don’t forego a new smile because you are afraid of dental treatment. Nervous Farmington cosmetic dental patients can wake up to a new smile with oral conscious sedation. It is never too late to get a movie-star smile!